August means Football at Greeley! Oh yes, August is an awesome month with the beginning of football all the way around! Who doesn’t love football whether it’s college or pro? Of course everyone is talking about the Seahawks and what will they look like this year? Will the cowboys ever win another super bowl or are they washed up forever? And, what’s going on with the Vikings? 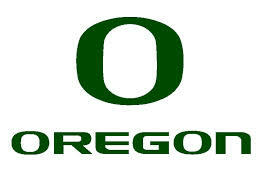 The Oregon Ducks and Beavers kick off their first official game on Saturday, August 30th. What’s the buzz on the Ducks right now? We shall see, and of course Greeley will have every game available! Here’s some college football trivia for you. The first Orange Bowl was played in 1935 between the University of Miami and Manhattan College. To save money, the Manhattan College team took a three-day boat ride to Miami. Irvine Cotton Warburton is the only member of the College Football Hall of Fame to receive an Academy Award. He won for his film editing work on 1964’s Mary Poppins. Chief Osceola, the Florida State mascot who rides out and plants a flaming spear at midfield before each home game, has been approved by Florida’s Seminole Indian Tribe. In the 1940s, college bowl games included the Raisin Bowl, Salad Bowl and Oil Bowl. Michigan holds the record for the most bowl appearances (31). During the 1990s, Prairie View College put together an 80-game losing streak. One season, they were outscored each game by an average margin of 56 to 4. The Oklahoma Sooners hold the record for the longest winning streak in college football. The streak lasted 47 games, from 1954 until 1957. The most laterals in a game (8) came during the Michigan Wolverines’ final play of the Alamo Bowl in 2005. Before every home game, flowers are placed at the graves of every former Uga (the English Bulldog mascot of Georgia). This entry was posted in Entertainment and tagged beavers football, espn, football trivia, greeley avenue sports bar and grill, NFL football, oregon ducks football, oregon football games, preseason football, sports bar portland, things to do by greeleyave. Bookmark the permalink.